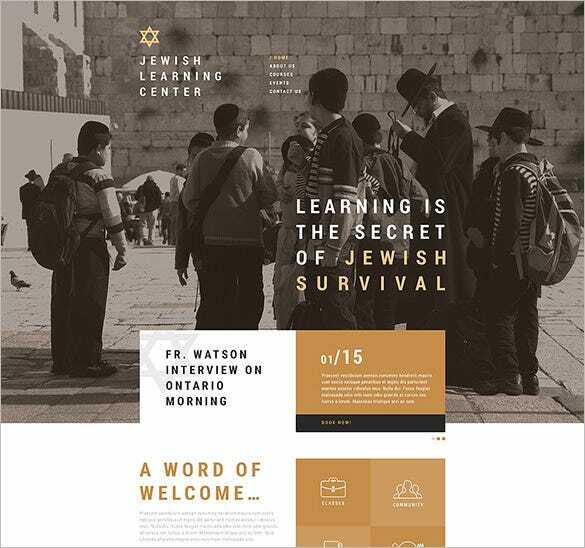 With customizable logo design functions and a mobile friendly responsive layout, the free education website templates enable a quick setup with no hassles. The clean html5 coding and numerous shortcodes ensure complete customization and the versatile Bootstrap framework allows for endless functional additions. 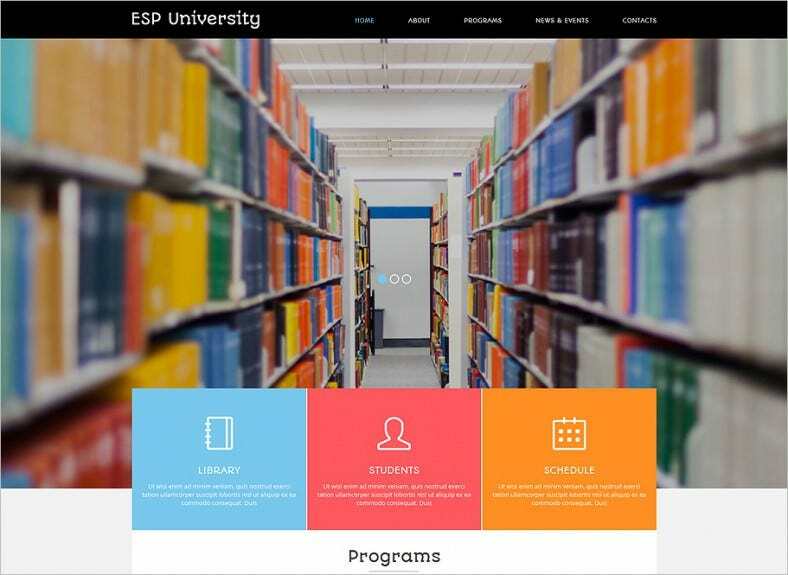 Education Bootstrap Themes include all the essential documentation along with example files for easy setup. 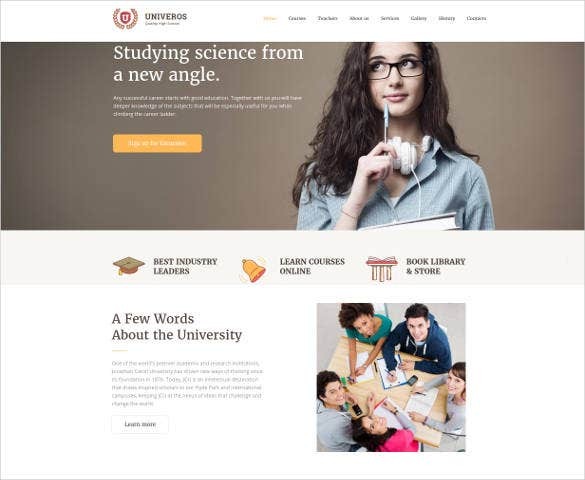 This fully responsive wordpress theme is clean and contemporary and suits for educational websites. 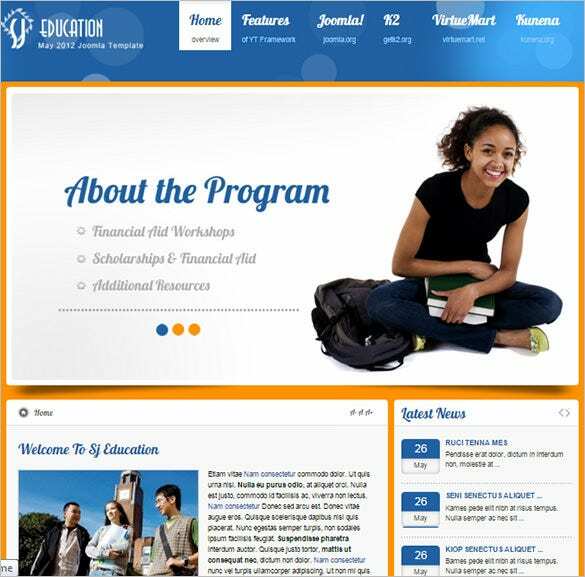 It is equipped with advanced features and facilities such as complete theme options board that regulates theme aspects. Other features include custom post types, galleries, and many more. 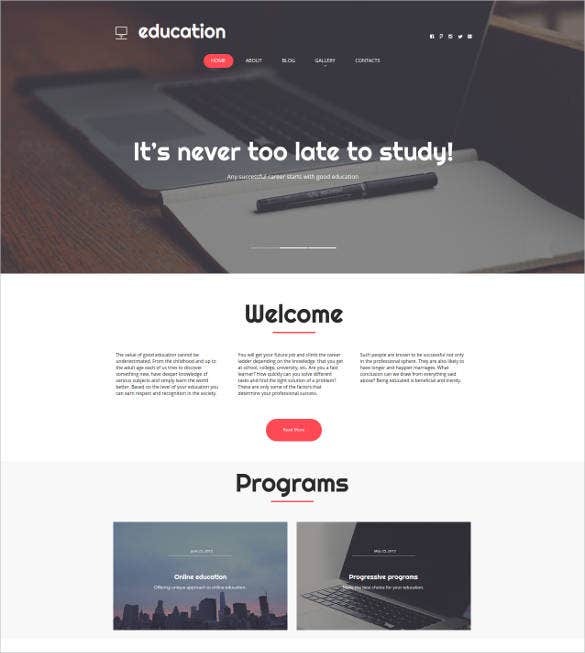 This quick and responsive Moto CMS 3 template is perfect for educational and writing related website. It comes with ready-made pages and stock photos. Advanced features include all-inclusive navigation, nice product presentation that helps you appeal your target audience. 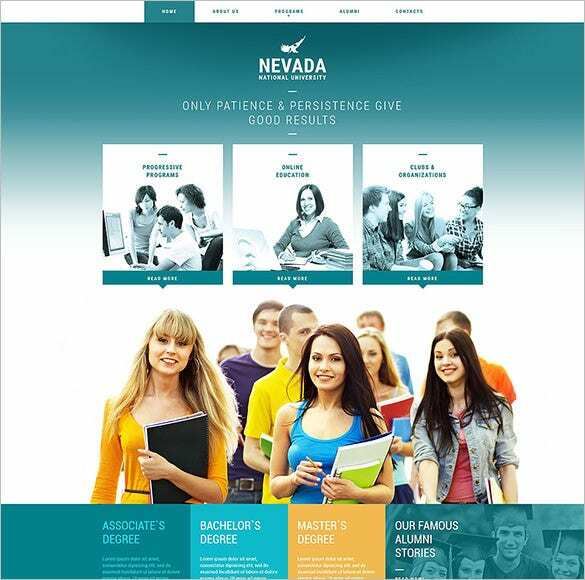 This Joomla 3.x version template is made for creating stylish educational websites. 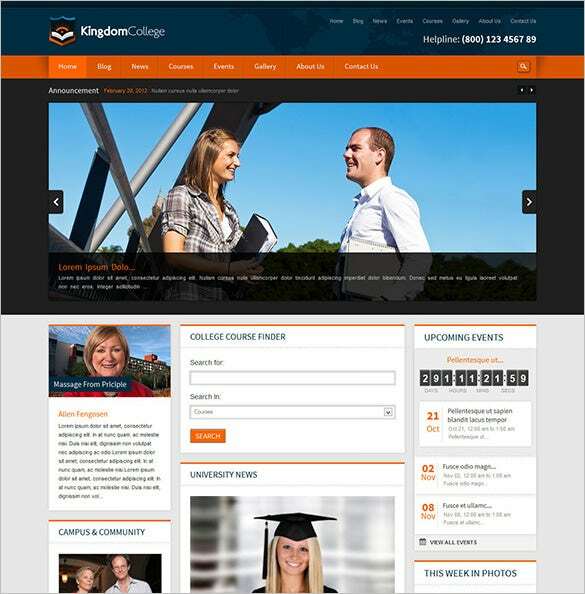 It has 100% responsive layout and many other sophisticated featured added. 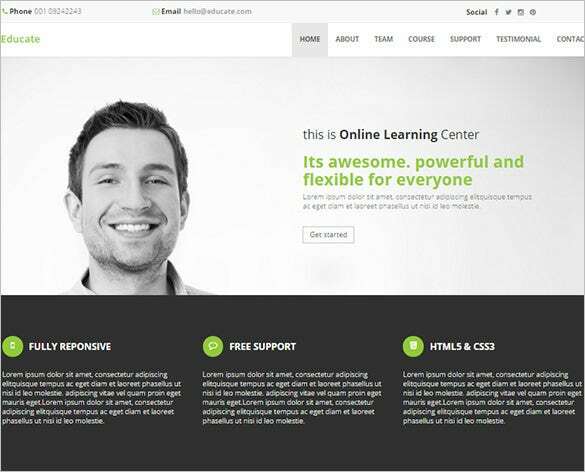 This pure Joomla template lets you make a professional website easily. This wordpress theme comes with a pixel perfect design that can make your visuals sharp and keen on HD screens. It is added with defined boxes of colors, menu items, buttons and icons. It has been powered with Cherry Framework that gives a unique twist. This simple and clean wordpress theme is loaded with advanced features and it can be adjusted for all types of websites. It is compatible with all major browsers and works well on all mobile devices and screen resolutions. 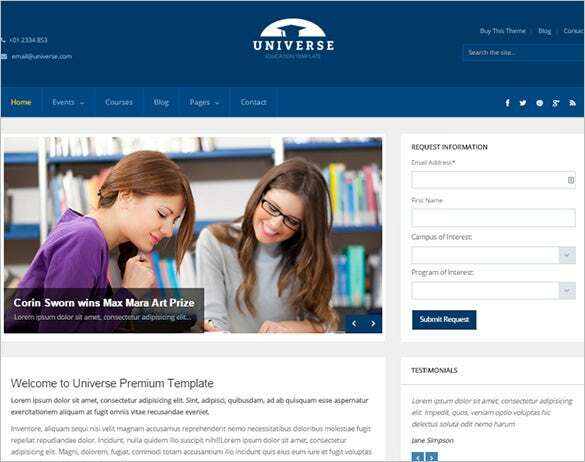 This wordpress theme is made specifically for educational websites. It is easy to change and have PSD files included for fast skinning. 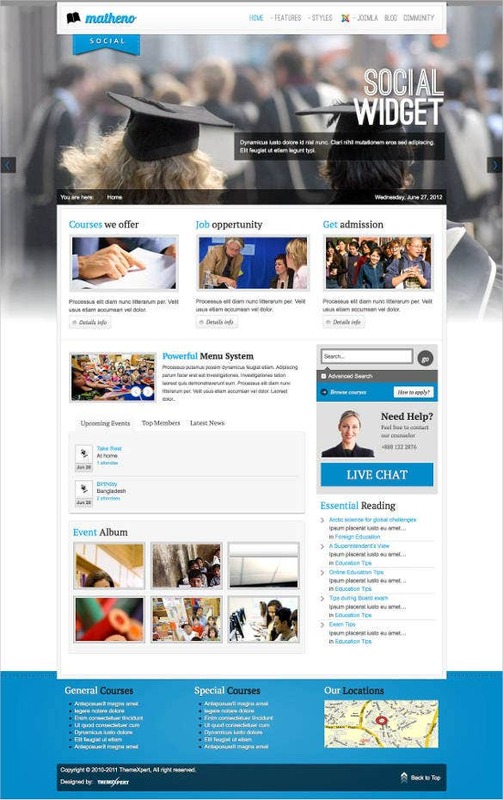 Other advanced features include sidebar, gallery, events, powerful theme options and much more. 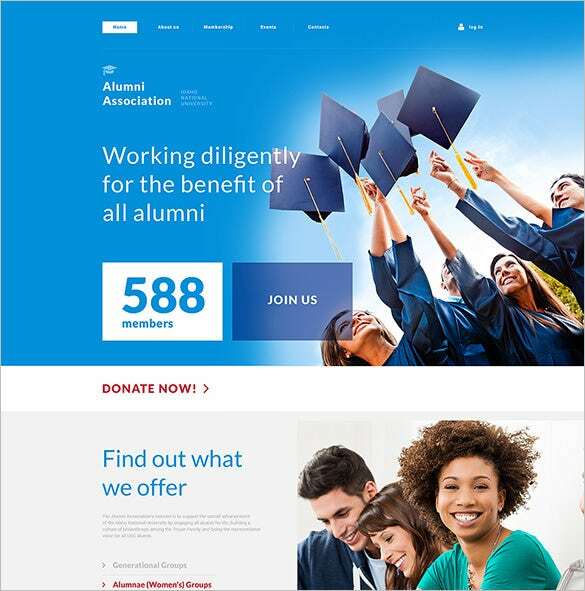 This Joomla template is the right choice to promote certain courses, universities and schools. It aids you bring the programs, video lessons and latest events to the notice of visitors. It is equipped with many advanced features and facilities. 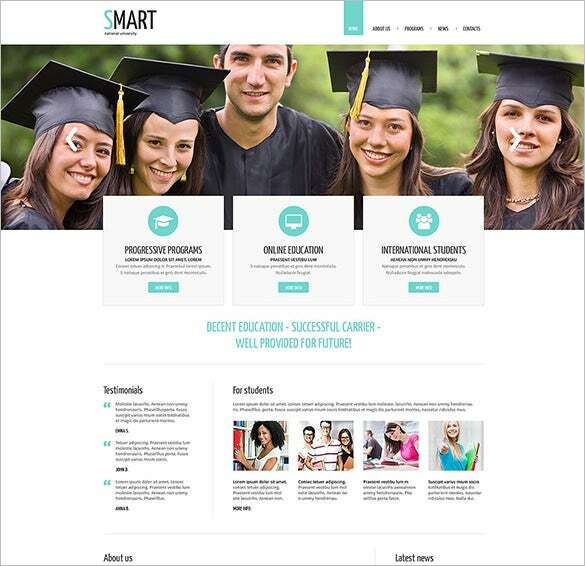 This VirtueMart and K2 component template is made based on YT Framework for Joomla. It has been integrated with Lazy Load that helps you manipulate wide images. It has many commercial extensions added with the template. This fully responsive Joomla template is blended with creative social networks attributes and original website interface. It has been integrated with popular Joomla aspects such as Kunena, JomSocial and EasyBlog. This template can be used for making websites related to social networks and communities. 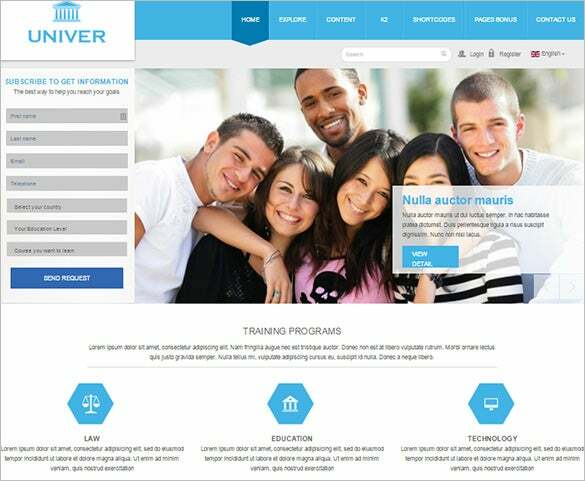 This fully responsive Drupal template has customized modules, which makes it perfect for educational related websites. It is packed with advanced features such as advanced theme options, crossbrowser compatibility, favicon, Google web fonts and much more. 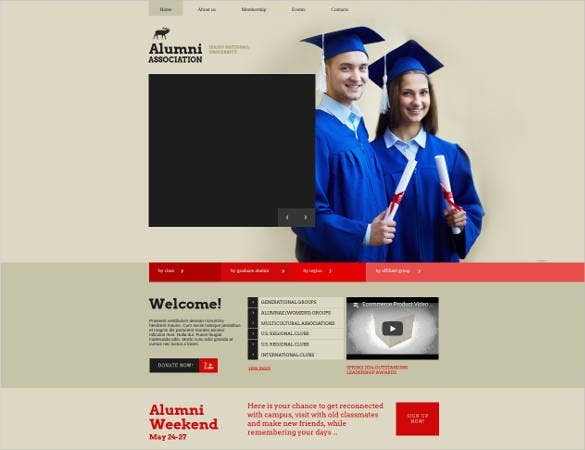 This responsive website template suits for websites related to alumni associations. It has HTML plus JS animation and packed with advanced features such as sliced PSD, crossbrowser compatibility, Google Map, dropdown menu and much more. 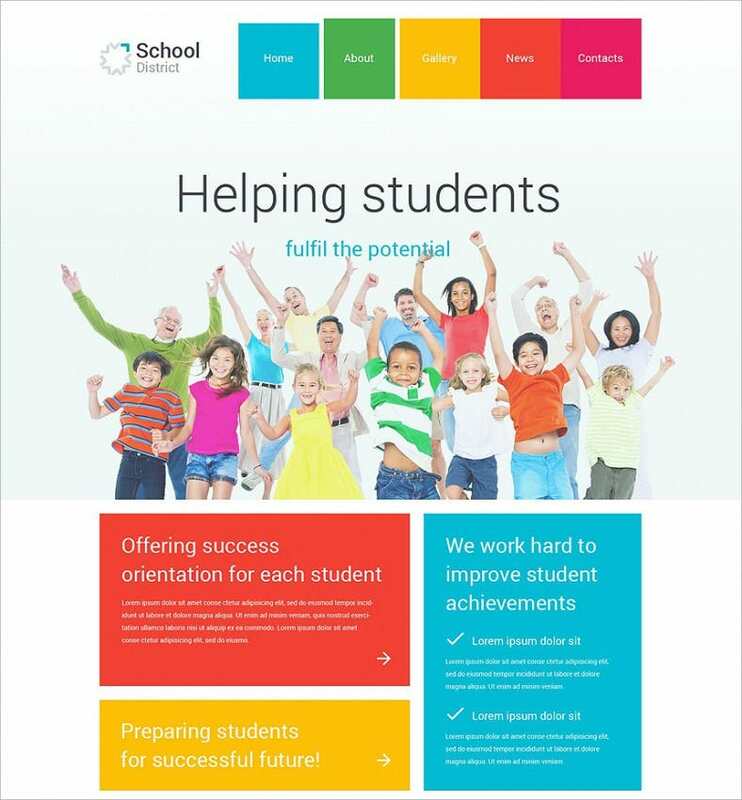 This landing page template is made specifically for education website designs. 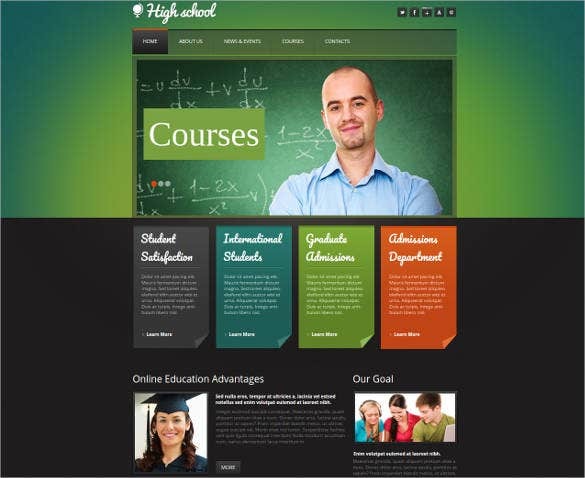 It is packed with some great features to make it the most preferred template for education websites. Advanced features include parallax scrolling, pricing tables, video integration and much more. 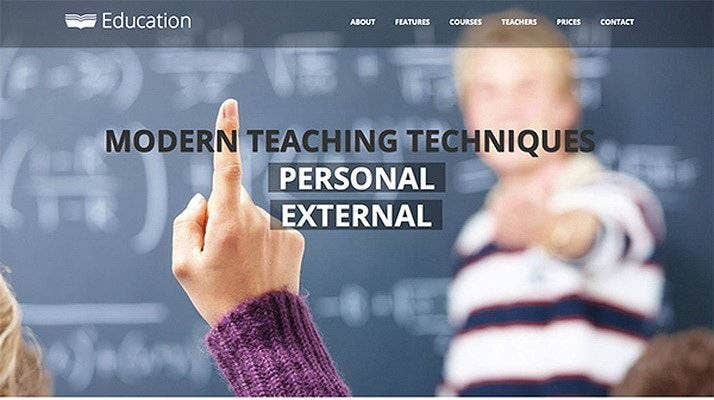 This fully responsive education website template is packed with a lot of features to make your website one-of-a-kind. 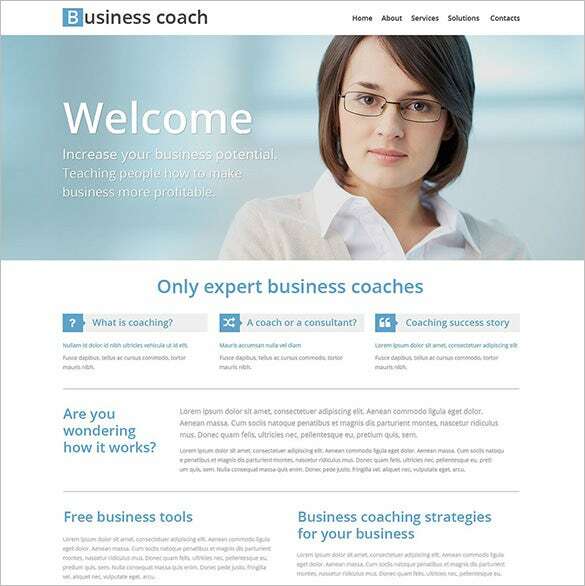 It is made with a valid code and easy to adapt theme design. Other features include responsive carousel, parallax scrolling effect, bold banners, full-width backgrounds, and much more. This responsive functional template is made to work well on all mobile devices and screen resolutions. 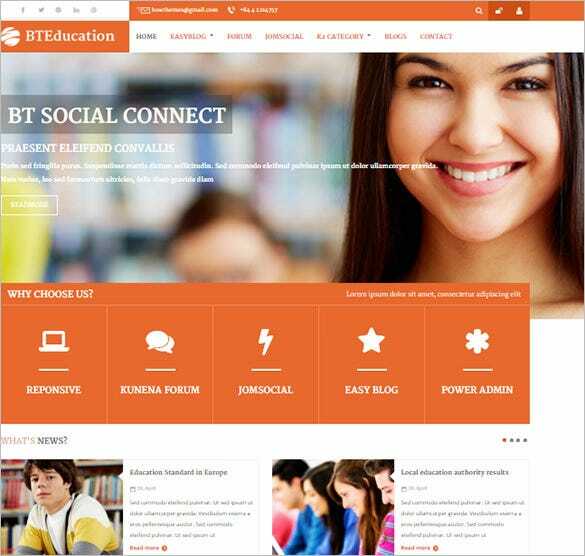 It has a clean layout and a lot of features added with the template to be useful for education websites. This template lets you upload audio files of lectures for visitors. 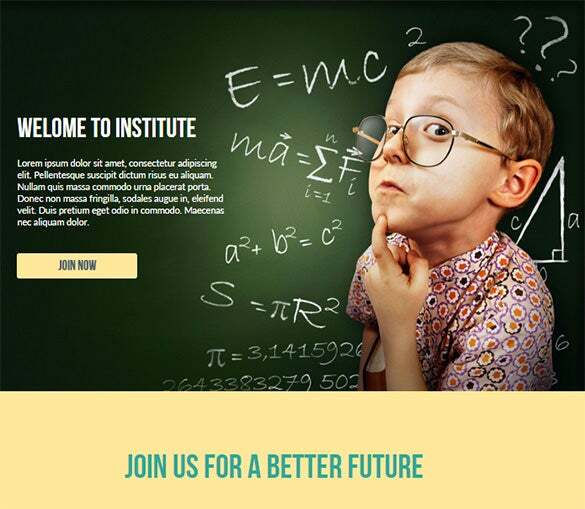 This fully responsive template suits for websites related to education and children multimedia. 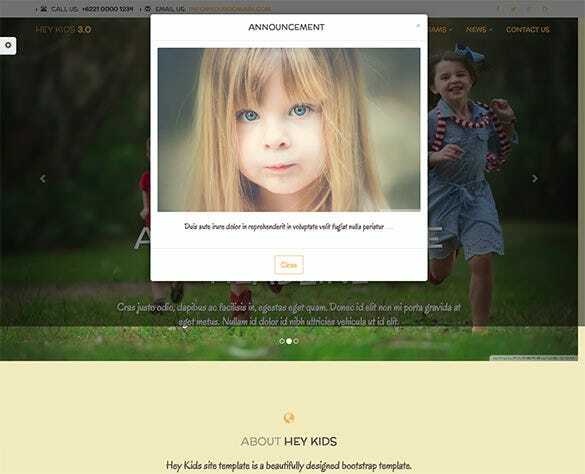 It is simple and flexible and can be used as kindergarten public information website. 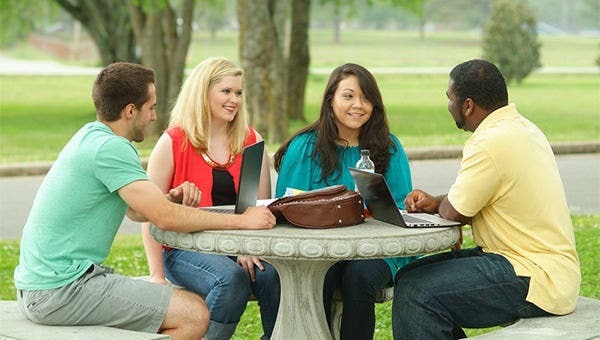 It is made from Twitter Bootstrap that makes it easy to change according to your needs. 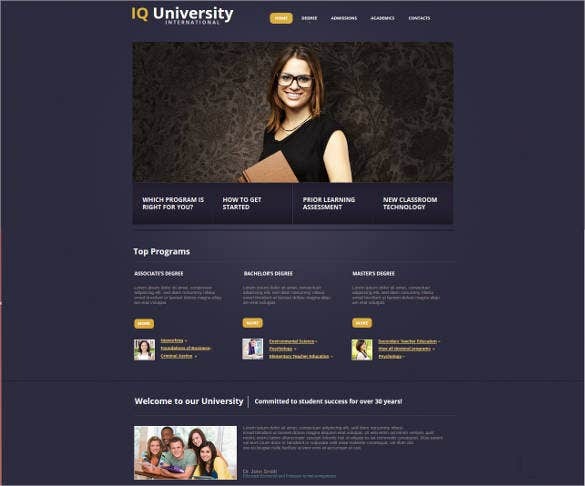 This responsive template design suits your needs for making websites related to business schools and courses. It is equipped with a lot of theme options and styles. It has short contact form and dropdown menu that ensures absolute functionality and user friendly interface. 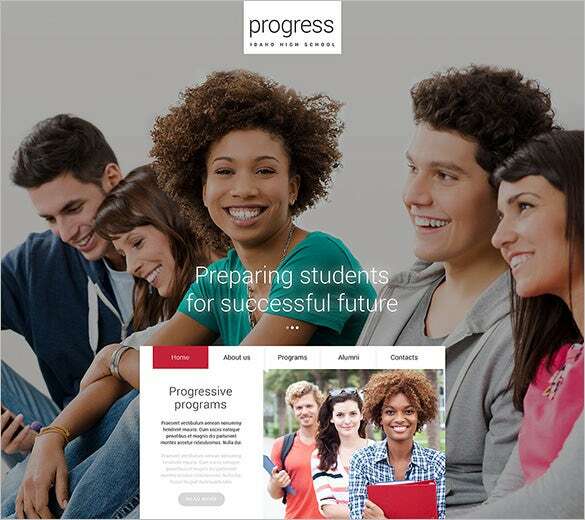 With sample images and hundreds of useful plugins such as social sharing plugins, pricing table plugins, internal messenger and commenting plugins, live chat plugins and so on, the template design is tailor made for educational websites. 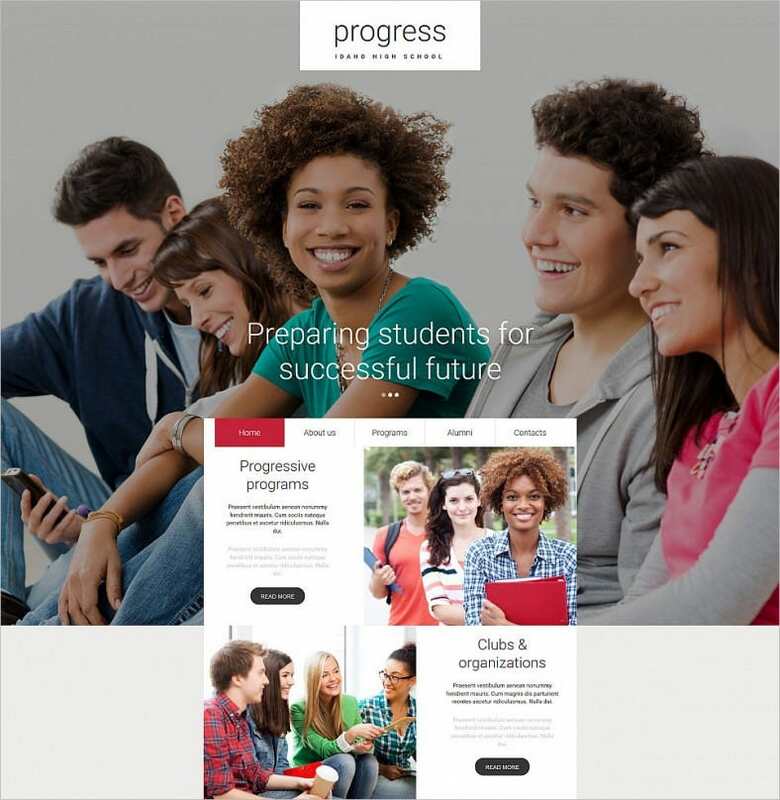 Download templates along the support content and get building your site right away. These templates are packed with customizable logo design functions and responsive layout. It has clean HTML5 coding and many shortcodes that ensures absolute customization. With versatile Bootstrap framework, unlimited functional additions are enabled.